Florian Properties offers a variety of special and unique finishes to all of our spaces whether they are commercial, medical or retail! Many of our buildings have a ton of history and we like to show off their relics! Abby Park was created from the town’s original movie theater and bowling alley. 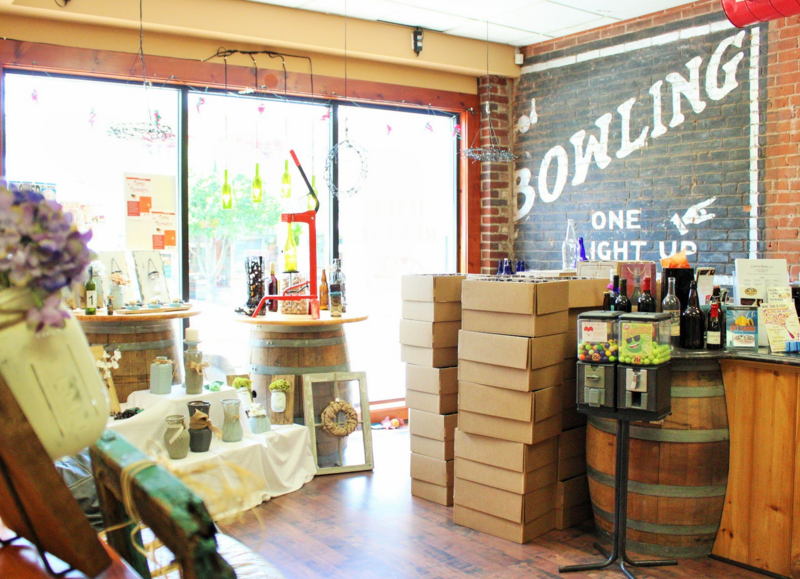 Today you can still see the bowling alley sign on the wall of one of our retail spaces! Original wooden structural beams and exposed brick are a part of almost every space of the building. A recent purchase to add to our historical portfolio is Factory Square. Many other spaces feature items such as high ceilings, exotic granite onyx, hardwoods and restored masonry. Features such as these are a standard when renting from Florian Properties. Nothing but the best for our clients! A few unique but exceptional features even include aquariums, fountains and fire pits.